I am so happy that I have come up with a quinoa recipe that I absolutely loved and I would have no qualms about eating it. Everyday can be a quinoa day now!! For those of you who have not tried quinoa and keep thinking of reasons as to why you should be eating seeds when you do not come from the species of the bird, allow me to change your opinion, please? This Quinoa salad is SO amazing that I can literally eat this every day. Yes, you read me right. I said I can eat Quinoa every day. 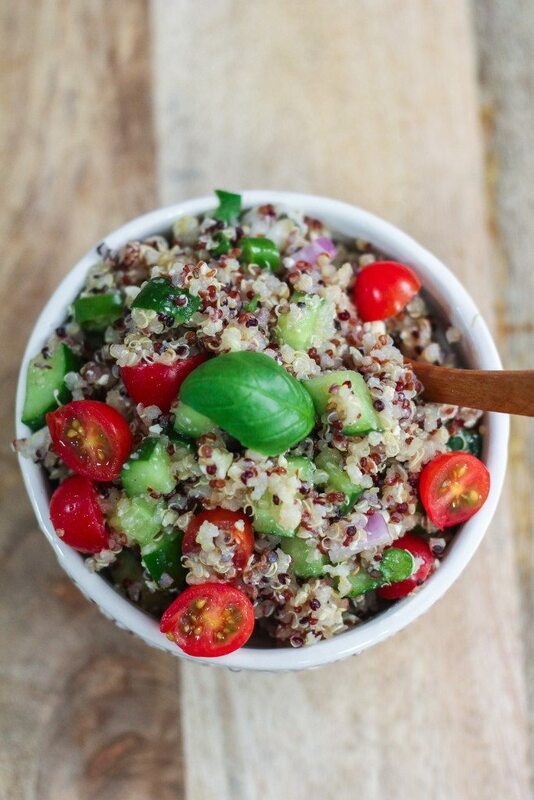 But before I share the recipe of this Quinoa salad, we need to first get the basics covered. A few of my friends were asking me as to how do they go about cooking Quinoa and I thought I should write a post as to how you can easily cook it. 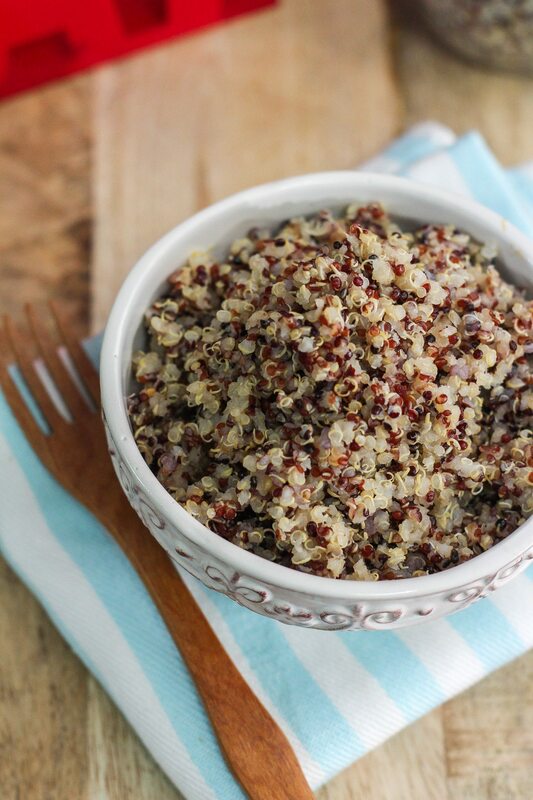 Quinoa, pronounced ‘keen-wah’ is a great wheat-free alternative to starchy grains. 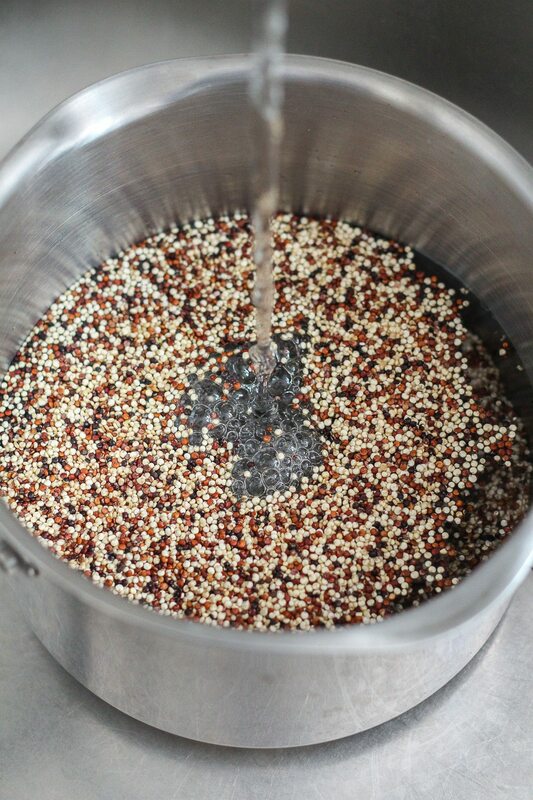 There are quite a number of varieties of Quinoa but the three most popular one’s would be the red, white and black Quinoa. Gluten free, making it especially perfect for people who are gluten intolerant. Has a low glycemic index. Perfect for the diabetics as it would not spike the sugar levels. Rich is antioxidants. You know the stuff that fights aging and make you pretty and all of that. 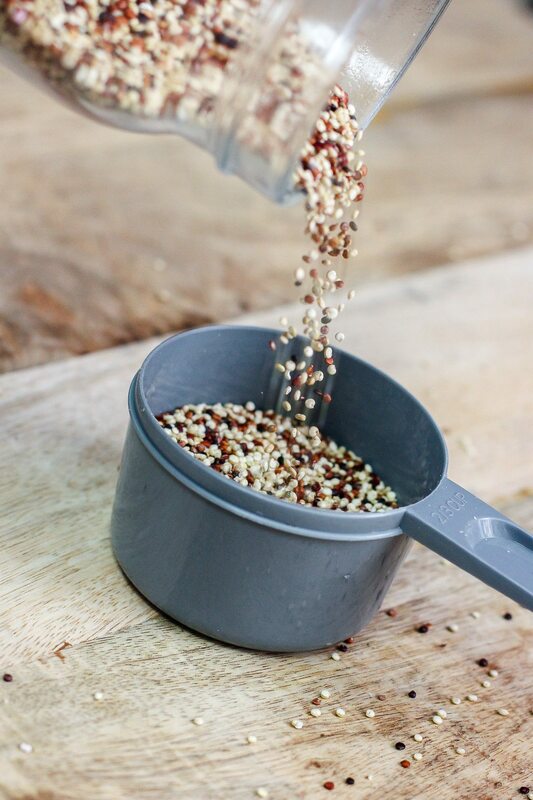 Quinoa has all the important minerals aka magnesium, potassium, zinc and iron. I am not going to go yadah-yadah (Read: go on) about Quinoa because by now you should have a rough idea that Quinoa is GOOD for you. If you are still not convinced, kindly pay my uncle Google a visit. 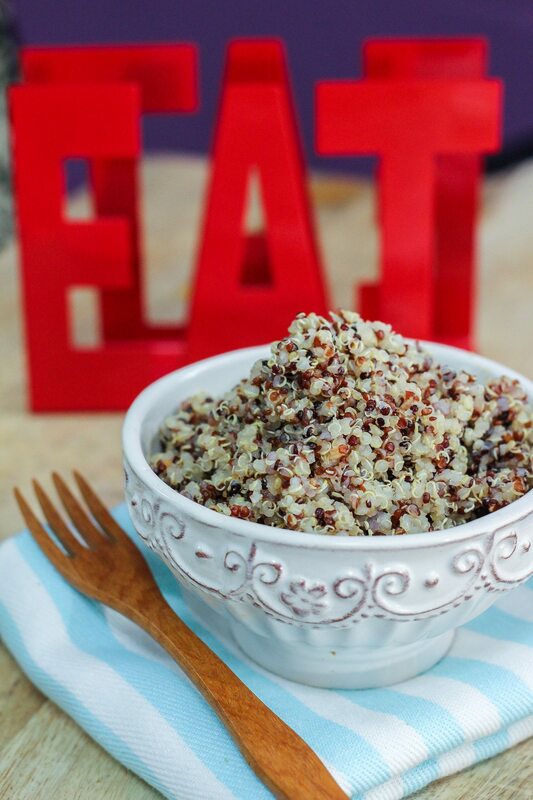 It is easy to incorporate Quinoa in your daily diet and it is equally easy to cook it. If you can cook rice, you can cook Quinoa too. 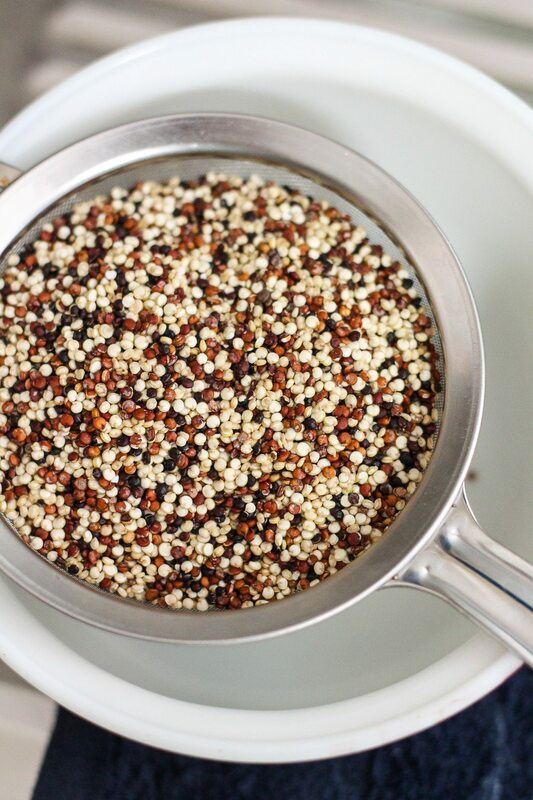 Quinoa is similar to couscous and it absorbs the flavor in which it is cooked in. 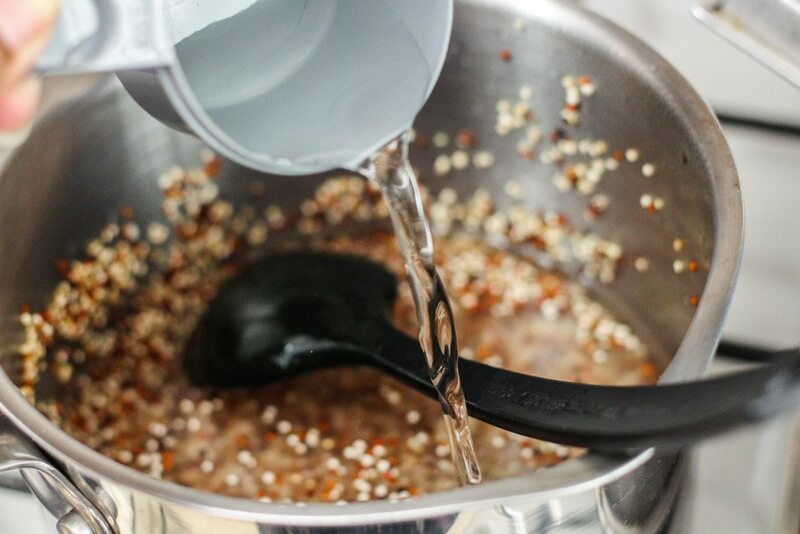 You can cook Quinoa using water. This is suitable if you are planning to eat this with side dishes like grilled vegetables, curry, stews or if you are planning to make a salad out of it. Toss with some greens and dressings and the Quinoa is good to go. I personally prefer to cook it in stock for added flavor. Quinoa has a coating, called saponin, thus it is important to give the grains a rinse to get rid of that coating. Boxed Quinoa is pre-rinsed but giving it a few additional rinses is always good. 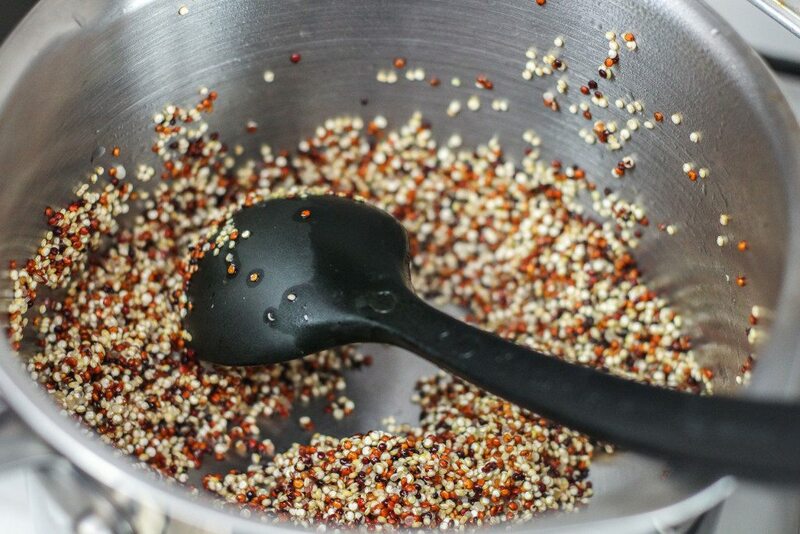 Although optional, toasting quinoa with a little bit of oil over low heat for a few minutes before adding it the liquid actually gives the Quinoa an even more intense flavor. 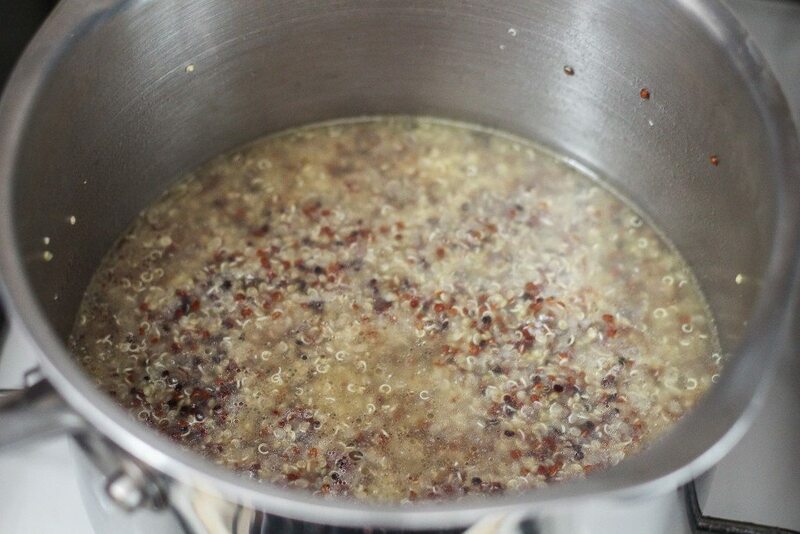 To toast, heat 1 tablespoon of oil in a pot and add the Quinoa. Stir it constantly for about 5 minutes till it is fragrant. This step can be skipped if you prefer not to toast or use oil in your Quinoa. For every 1 cup of dry Quinoa, use 2 cups of water or stock. 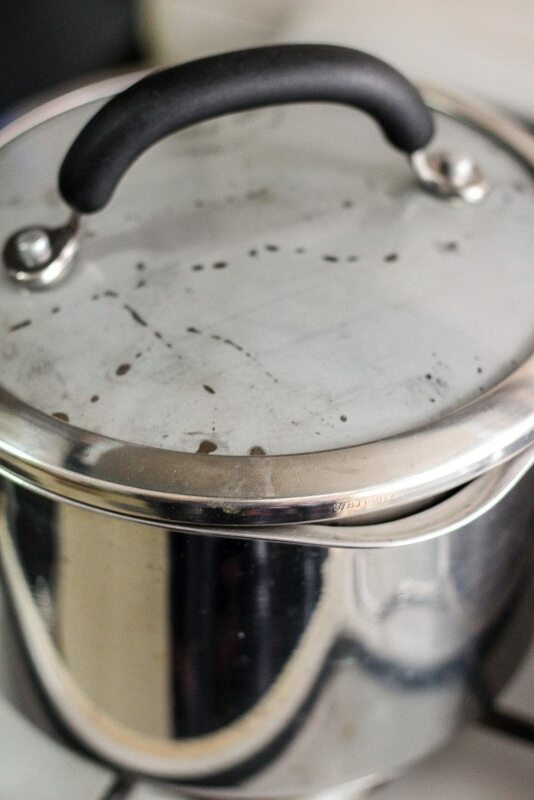 Bring quinoa and liquid to a boil in a medium saucepan. Once done, turn off the flame and let it stand, covered for 2 minutes. Fluff with a fork and serve! Although I love to make a Quinoa salad, there are really many delicious uses of Quinoa. It is fabulous when stuffed into vegetables like these Southwestern Quinoa Stuffed Peppers. You can also serve Quinoa alongside with a sunny side up for breakfast or top it up with some maple syrup and blueberries for a sweet and delicious start to your morning. I hope this How To Cook Quinoa post has been helpful to those of you who has never tried cooking Quinoa. On Wednesday, I would be sharing the recipe of the very delicious Quinoa Salad recipe that I have been raving about from the start. Measure 1 cup of quinoa and place it into a pot. Heat 1 tablespoon of olive oil in a pan/pot and toast quinoa for 5 minutes(optional). Season with salt and cook the quinoa covered for 15 minutes. Once done, remove the pot from the flame and let it stand for 2 minutes. I think I was hiding under a rock as I am so late to find your blog. I have gone through it briefly and I am very happy to read what this informative website has to offer. Count me in as your regular reader. Keep writing and Thank you for the wonderful stuff over here. Better late than never I guess. 🙂 Thank you Richard. You made my day!